I'm new to forms. 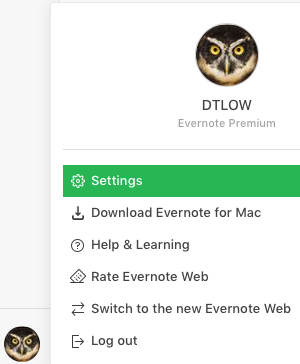 I have an account connected to an outdated email address, how do I can I update my email address for my evernote account? Access your account, for example using the web platform. Or in the upper left corner, depending on which version of the Web platform you're using. For me, it's just my initial, no avatar.